Tag Archives for " Dynamic Communication "
My guest for this week’s episode of the Duct Tape Marketing Podcast is Jill Schiefelbein. Schiefelbein is an entrepreneur, former college professor, professional speaker and communication expert, and the author of Dynamic Communication: 27 Strategies to Grow, Lead, & Manage Your Business. She and I discuss why the secret to growth, leadership, and management, whether it’s your life or business, is dynamic communication. Schiefelbein’s first self-owned business, Impromptu Guru, received the 2012 “Rookie of the Year” award and the 2014 “Volunteer of the Year” award from the Gilbert Chamber of Commerce in Gilbert, Arizona. 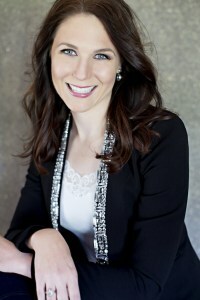 She went on to launch a national talk radio show, facilitate training and media coaching for the WNBA’s Phoenix Mercury and the NFL’s Players Networking Event at SuperBowls XLVII and XLVIII, and launched an educational video campaign on public speaking and communication skills that reaches thousands of viewers each week around the world. In regards to your new book, what are some things you’ve done that you think will set you up for success? How do you begin the process of marketing a book? Learn more about Jill Schiefelbein. Read Dynamic Communication: 27 Strategies to Grow, Lead, & Manage Your Business..
John: Want to know the secret to growing, leading, managing? Whether it’s your life, or a business? It is dynamic communication. That’s what we’re going to talk about today on this episode of the Duct Tape Marketing podcast, check it out. John: This week’s episode of the Duct Tape Marketing podcast is brought to you by Klaviyo. Klaviyo is truly a game changer. Unlike traditional email service providers or marketing automation platforms, Klaviyo offers powerful functionality without long implementation or execution cycles. It gives ecommerce marketers access to all the relevant data from a variety of tools and it makes it available to power smarter, more personalized campaigns. Bottom line, Klaviyo helps ecommerce marketers make more money through super-targeted, highly relevant email and advertising campaigns. Learn more at klaviyo.com. Hello and welcome to another episode of the Duct Tape Marketing podcast. This is John Jantsch and my guest today is Jill Schiefelbein. She is an entrepreneur, a former college professor, professional speaker and communication expert and also an author of a book we’re going to talk about today called Dynamic Communication, 27 strategies to grow, lead and manage your business. So Jill, thanks for joining me. Jill: John, thanks so much for having me! John: So you’re book which is out in March of 2017 dependent on when you’re listening to this. It’s coming out on Entrepreneur Press, I wonder if you could talk a little bit — I know I have a lot of aspiring authors, I have a lot of authors that listen to this show. I interview a lot of authors. But, I don’t know that I’ve specifically spoken to anybody who has gone through the process with Entrepreneur Press, so I’d love to hear how that experience was. Jill: Honestly it’s been better than I expected it to be John. I have done the publishing — the self publishing route, the academic publishing route back when I was doing my professor thing. But for this one I had heard from so many people that going with a traditional publisher is just complicated and there’s going to be so much push-back on ideas and content and formatting, and honestly? That wasn’t my experience at all. So I feel incredibly grateful to have been picked up by Entrepreneur Press because they’re a smaller publishing arm, they don’t choose as many books. But the books they choose they genuinely do believe in and what was great for me in choosing them over a couple of other publishers that I looked at, is that with them they have a whole marketing arm and a whole marketing enterprise behind them that they lend to the book and that was really my deciding factor. John: And they are still very tied to the magazine right? Jill: Very much so. It’s all the same. Entrepreneur media is a parent company and then there’s the magazine, Entreprenuer.com, Entrepreneur Press and now Entrepreneur network which is their video arm. John: And they will likely get you maybe some speaking gigs at some of their events I’m guessing? Jill: Yep. That’s a plan. They got me a full page ad in the print magazine in the March issue which was probably one of the most surreal moments I’ve had in my life where I’m flipping through the magazine and I’m like, “Oh my gosh! That’s my book in there! This is so incredible!” And they’re doing lots of promos on the website, we’re doing stuff together in collaboration with video etcetera. It’s just a lot of stuff going on but again to have that support infrastructure behind me really distinguished them in my mind from any of the other presses that I could have gone with. John: So maybe I want to back up a little bit. How did it differ from writing a book in — that was a textbook in academia. Did you just kind of — I mean do they do the same thing where you have an advance and you get royalties or do you mind sharing that? Jill: Oh not a problem at all. So in the academic world it is very different because there’s a certain amount of credentialing that goes on that other, you know in the trade press or the commercial press where all your credentialing is tied to your ability to market and have an audience. And in the academic world it’s largely tied to your name and your academic accolades. So for me, when I came in on the text book I was actually a co-author and I was chosen by the original authors because I actually taught the class using a version of a text book and I went to them and proactively told them why this book didn’t work in reality for students. And they were, you know a little shocked at my candour but they realised I was right and they needed to bring in that perspective. So doing that, you know there’s advance, there’s royalties, there’s all those things too but you don’t have to worry about marketing at all, there was never a single marketing conversation that I ever had being part of the academic press route. Whereas from day one, even before day one when you’re putting together your proposal for a more traditional or commercial press, your proposal is about half of 50-some pages I submit are on marketing. John: Yeah. You know I sound a little cynical when I say this but I think sometimes the traditional publishers care less about what you had to say and more about your platform. Jill: No I actually don’t think you should sound cynical at all because I think that’s pretty factual. John: So you are you know… kind of heading now into the next phase of the book and you had mentioned you wanted to talk a little bit about this. What has been your approach now to you know, coming full face knowing that I’ve got this book now I have to market it and I’ve committed to marketing it. What are some of the things you have done that you — obviously you don’t know the ultimate results at this recording. But what are some of the things you have done that you think are going to set you up for success? Jill: There’s a number of things that if I may John, can I kind of give everyone a back-story in context so this makes a little more sense? Jill: I think a lot of people and this is myself included so it’s pot calling kettle black? 6:04 and then I finally realised what I was doing and changed it mid-course. But when you are thinking about writing a book, you’re thinking about what ideas you want to get out, what IP you have, what methodologies you have and you want to get out there because you know it’s good information. And it’s great to have confidence in that. And that’s what I did with the proposal and it ended up being picked up. But mid way through it, in fact about 45 days from the manuscript due date for the entire book I had this ah ha! Moment. And this moment came to me because I thought how am I even in this position in the first place? And if you rewind the very long story short, is I launched a YouTube series, 52 videos back in September of 2012, a year later it wasn’t doing what I wanted so I really got geeky with YouTube analytics and figured things out. Now that thing is at about three quarters of a million views for that series and it keeps growing, it got picked up by Entrepreneur’s video network where I was one of their original partners, which spawned then me writing for the magazine and for the column, and doing live stream personality and ultimately, them asking if they could have an opportunity to view my next book proposal. And when I go back to the roots of what attracted them to me in the first place – it wasn’t some fancy model, it wasn’t some methodology or some IP or me pushing ideas out, it was me giving bite-sized pieces of information that people could easily digest. And when I got back to those roots about what attracted people to me in the first place, not exactly what I was pushing out but what attracted people to me, I realized I need to scrap the entire book and start over. And my editor thought I was nuts, but she loved the idea so instead of writing about this one major concept within business communication and making a whole book about that, I decided to scratch that and instead put together a book of 27 strategies across 8 different areas of business communication that can really be more of a reference guide for people. So you pick it up, you know where you’re having a problem, you find that chapter, you read it maybe five to ten pages and boom, you’re done. And it’s so much more impactful that way, when I go back to the roots of how my customers, how my audience wants to access that information. And I think a lot of us lose sight of that when we’re so stuck in our own heads with our ideas. John: So that’s where it became the 27 strategies as part of the subtitle. So quite frankly that sounds a little scary to me too, going back and rewriting because you know, I know those last 45 days on the books I’ve written you know, I’m just trying to get the darn thing done. And so the idea of starting from scratch must have been a little scary. Jill: It was a bit intimidating. And at the same time once I realized that I had already written or presented on so many of these ideas, I ended up going to my recordings, going through past articles, sent old speeches off to get transcribed and started going through to see what content I already had that was valuable. So it was starting from scratch in terms of the pure sense, but it wasn’t because I’ve done this teaching before, I’ve done these presentations, I’ve done these keynote speeches. And it was really fleshing them out and then what I did was every day to try and have some semblance of health because let me be honest, I was very unhealthy and staying up late and eating food I shouldn’t have been eating during this process because you just need to crank it out. But every day I’d go take a walk, I live right by central park and I’d get up, I’d take a walk in the park and I would voice dictate a chapter during that hour walk almost every single day, and then come back and edit and fine-tune it. John: That’s funny my — I’ve written five books now. My first book was actually the easiest to write and I think that’s because of that same thing. I — It took my 10 years sort of to write it but all I was really doing was just doing the stuff that I put in the book. The actual writing I think I did in about 90 days, because it was just what I had been living. So should everyone write a book? John: I love asking everybody that question because everybody is writing a book. So why do you say no? Jill: There are… if you feel the need to write a book for you, that’s great do it. But that’s not a need for a consumer, that’s your own personal need and when you’re thinking about the marketability of a book, what happens I think so often is that everybody who is a business owner, who’s into entrepreneurship, or who wants to be a thought leader or a speaker, or anything like that you’re told you need to have a book, it’s creditability, you need to have a book, it’s creditability. But people put out these books which are quite frankly complete crap. They’re not professional edited, they’re not professionally formatted and they sell next to no copies. So it’s really not doing you much of a service to have that. If you’re in business, and you’re not thinking in your gut that I know a book is the right thing for me, I think it is much more impactful from a marketing perspective to have a lot of short-form content out there that is more engaging to help you build that audience and then maybe after you’ve been in it for a while that book that you need to write – not just for you but for your audience as well will come about. John: It’s funny I actually received an email a copy of days ago from somebody who had written a book and that book had actually been out for about 30 days and they were now inquiring whether I could help them market that book. And I felt like saying you’re about six years too late, no. Really the marketing of a book starts just as you described there. In many cases, most of the best selling business books took years to write because the marketing was building community and as you said, doing the videos and finding out what resonates with people and in a lot of ways kind of having the built in audience before you even start writing the book – I mean what’s your take on sort of, now that you’ve kind of gone into it head long, how do you start that marketing process? Jill: I think it’s essential. And again for me you heard my short story just about the video content. Well alongside that video content there was short-form content, there were other videos, webinars, blogs, whitepapers, e-books, blah blah blah. All those things that let me gain an audience over time. Which I think is important and it also tells you how your audience likes to best consume your information. Again, what I was doing wrong with the initial book proposal was I was doing it the way I wanted explain it, but not the way that my audience necessarily wanted to hear it. And the other thing you can do to kind of — I don’t want to say shortcut the process because there’s really no shortcuts. I mean, I’ve been studying what I’ve been studying for, you know a decade and a half and then some. And I’ve been doing my own business for over five years and in the grand scheme of things that’s not that long, but I’ve built up a good critical mass. But one of the things I did for this book that is a strategy that anyone can replicate, either before they write a book and put it into the book or doing it afterwards, was for me once I identified these 27 strategies that I knew I wanted to write about, I reached out to 27 people who I think are brilliant in different ways and had them add commentary to that. And I got 20 – 30-minute interviews from all these people, I put those as excerpts which I think put on my YouTube which then got syndicated on entrepreneurs video network. And you can see the snowball impact that would have. But it’s also getting other people that aren’t your client community but are your peer community, or people who would attract a slightly different audience to contribute, to make the idea bigger than just you. John: Yeah and that works on so many levels too because I mean in a lot of ways you’re helping create an asset for them, you’re helping promote them. Obviously, they’re going to extend their community to some extent to you. So it works on so many levels and it really has a kind of amplification element to it, doesn’t it? Jill: It does and I want to be clear that I know that with the press that I have chosen and being affiliated with a major business publication like Entrepreneur magazine I have a bit of a different way to go about it when I was going and talking to the people who have you know, very very internationally known names in business, I had an ask for them that wasn’t just hey can I interview you but in exchange this will also be released on Entrepreneur’s video network that would be something on Entreprenuer.com. I had something that I could give back. And I realized a lot of people listening are not going to be in that same situation where you have this long-term relationship with a media company. But what I would challenge you do think is even if you’ve already written your book, and maybe you’re just thinking about marketing now or you’re thinking about how you may want to do it in the future is this interview approach is money in my opinion. Even if you already have a book out and maybe you want to breathe new life into it, interview people who speak, think, serve, produce, have a product in the same area in different aspects of your book and have a conversation with them. Where you agree, where you disagree, what are tips and have that really collegial conversation and view them not as competition but as collaborators. Because then you can post a nice quality video asset, you can get that transcribed, repurpose it into blog posts, into mini audio columns etcetera. That will spread the love for both of you and give your book new life. John: This episode of the Duct Tape Marketing podcast is brought to you by Active Campaign. This is really my new go-to CRM, ESP, marketing automation, really low cost, any sized because can get into starting at like $19,00 a month. You can keep track of your clients, you can see who’s visiting your website, you can follow up based on behavior. Check out Active Campaign there will be a link in the show notes but it’s ducttape.me/dtmactive. So are you doing anything to — in the actual launch window, some of the promotional you know, premium content things, joint ventures, anything along those lines to really give it that kick in the pants? Jill: Yeah I mean I’m doing the what seems to be pretty standard now, the thunderclap campaigns and then I have a small — not even a small — a list of about 100 some really dedicated advocates who are doing things on their own end to push words out with personal emails, personal videos, that type of thing. But what I also have done is with all of these interviews for anybody who pre-buys the book and of course, anyone who purchases it after the fact, pre-buying just gets you this content immediately. All 12+ hours of interviews are uploaded with links and additional resources in a master members site for anyone who pre-buys the book and the benefit of that is you get access to that right now instead of having to wait until later. And then for anyone who buys the book one of my big things you know, my heart is an educators heart, I just don’t do it in a traditional education setting and so I’ve created a workbook resource that you can use alongside you to actually help implement strategies. So whether you’re facing a sales or presentation strategy or maybe a teamwork challenge or something with really cultivating feedback for your teams that actually gets followed through on whatever those challenges are that you’re facing in your business capacity, there’s actionable worksheets to help guide you through for those who need that additional step-by-step implementation. John: Awesome. Let’s talk a little bit about the content of the book, we’ve spent a lot of time talking about marketing. But — so let’s break the title down first. What is the definition of dynamic communication as opposed to good communication? Jill: When I think of communication and I think well most people think of it, we think of the words and maybe we think of the delivery of the words, but good communication doesn’t just mean your ability to put together a grammatically correct sentence or to speak without saying the words umm or uhh. To me, good, great communication is communication that delivers results so I pause at dynamic communication as something that is communication aimed towards to being proactive to delivery action orientated results and we judge the efficacy of our communication based on outcomes instead of the input. So many times we think oh look I have this very beautifully crafted message so the input is great but you’re not getting the outcomes you desire so to me, that’s not impactful or affective. John: So you tying – since we’re talking about results — you’re tying dynamic communication to leading and managing and growing a business. So how does somebody take that leap — I think a lot of times people think of communication like they see it in a sales environment, you know pretty easy to measure that you’re getting the sale or you’re not getting the sale, that might be the measure of result. But how about leading and management? How do you measure the effectiveness of communication there? Jill: There’s so many different ways. Depending again on what the venue and what the goal is. But for example in the book, it’s 27 strategies divided into eight different topic areas. Eight different areas that you will face at different points in time in your business. So yeah, there’s the basics, there’s sales, there’s customers service, there’s marketing generating materials, videos, webinars, all that type of stuff. But then there’s also public communication. So we’re talking about communication during a crisis, we’re talking about communication to public audiences, communication in bigger speeches to mass audiences, internal, external and consumer. And then you’re look at how internally do you communicate? How are you managing your globally dispersed teams? The virtual teams that we have, how are you giving feedback to employees when you’re having those sessions when you’re wanting to create change, are people actually following through? Are they buying into your ideas? Are you seeing those things developed and of course are your employee’s staying around? John: Sure. Yeah I think a lot of people underestimate the communication, the storytelling that is a big part of leadership and building a culture where everybody feels a part of it. So great. We often think in terms of communication as the you know, what I said. But you present in the book that one of the biggest skills in communication is how you listen. In fact you have something called the four stage listening matrix, so you want to dive into that one? Jill: Yeah sure. The listening matrix. So this is an example though. I could write a whole book on the listening matrix right? But let’s be honest, me fleshing that out for 250 pages is way more than needs to be done which is why doing in my opinion, this more short form content that as a book was a strategy shift that I made. So just for people out there who are fussing with ideas in your head you can think of it in that way. But the listening matrix to me is all about really understanding the current sales economy that we are in John and to me that is an information economy. We have more access to information than ever before. But there is a growing gap from my perspective between information and knowledge. And the gap itself isn’t necessarily the problem but it’s when your consumers, your employees or people are mistaking information for knowledge when a problem arises. So the listening matrix is a way to understand how other people are listening to you. So for example, if you’re in a sales conversation, are people listening to you for information? Or are people listening to you for knowledge? And the different is between action and inaction. People don’t make decisions based on information, people making buying decisions based on knowledge. But our sales teams are overwhelmingly trained to give out information and not to help the consumer co-create knowledge. And so the matrix walks you through four different stages so you not only can identify how someone’s listening to you, but the questions that you can use to transition them from information to knowledge listening. John: Yeah I think that is so crucial for salespeople, you’re right. I even think about my own buying experiences anymore, I have all the information already, I just need somebody to put some insight into it or to help me figure out how it might actually work in my particular situation and I think that’s the job of sales people today it’s — because everyone is going online and getting the basic information. Jill: It’s absolutely true yet so many companies are still hiring based on the old definition of an old sales person, to me it’s not a sales person anymore. I would call the role a product integrator for example or a service integrator. These people are actively helping you gain the knowledge of how a company’s product or service would integrate within your business, would integrate in your needs. It’s not about sales, it’s showing how something would actually work in your world. John: Yeah I’m seeing more and more companies, particularly if they have anything that does take — it’s not an off the shelf kind of product. I mean there are almost engineers or almost… some of the best sales people because they’re designing a solution based on what’s there as opposed to a sales script, that they were taught to deliver. Jill: It’s so true. And I think I’ve worked with a couple of sales engineering teams for software products and a lot of the challenge there is then getting them to communication with what I call common communication denominators, another chapter in the book. And get out of their jargon, get out of their acronyms and figure out how to explain these more technical processes to people who are not IT based people. Customer service for the IT world used to be I’m a customer service person and I’m talking to an IT person because we provide a hosted solution. With cloud based solutions that’s no longer the case, your end user the person you talk to is typically a marketer or a salesperson, it’s very different. John: So it’s a whole matrix every time you go into it. So you actually proposed since we’re on the topic of sales that throughout your you use a call outline, what’s a call outline look like? Jill: A call outline to me is where you have the key objectives that you want to accomplish during the call itself, if you’re doing a sales call. So many times you know, I had a call earlier today actually you know, hi is this the owner of DynamicAcceletator.com? Yes it is. Hi, we’re a website designing company — and they’re just going through this list instead of just right off the bat saying you’re the owner of a new domain, do you already have a web development solution? Just get right to the point and asses the information that you need because for me, I do all my own site development. I am a programming geek in the background, that’s something I like to do for fun. So you’re wasting my time going through a script. Same thing goes for — I’m sure most people out there have had this experience when you fill out a form online because you want some more detailed knowledge about a product. You’ve gotten the information but now you need a free demo, a free trial. You get on the line for that demo and they walk you step by step through ever little feature of their product, not even taking the time to understand how it goes for you. Well that’s done based on a call sheet. Instead using a call outline, you can divide your product or service into different you know, silos or parts and ascertain right at the beginning if that customer or potential customer needs information or better yet, knowledge on that portion. And if not, address their immediate needs first before going into any type of additional features and benefits. Because when people have questions, they want answers and if you’re a person who doesn’t waste their time and provide them with the answers, they’re more likely to let you spend time explaining some other features or benefits that you have. But if you waste their time in the beginning going through things that aren’t relevant to their situation you’re going to lose them. And so then an outline is way more beneficial than a script. John: Yeah and I love that idea of an outline but boy does it also — you shake your head and think commonsense would be nice too. Jill: It would be but unfortunately as we know common sense is not all that well, common. John: I can’t tell you how many times I’ve done that where I’ll have the pre-call, I’ll tell them exactly what I do, what my level of knowledge is, what I’m looking for and then you get on the call and just as you said and it’s just basically okay, first you turn it on, then you’re like seriously? We just went through this. Jill: It’s unbelievable but you know what? Again it’s part of the institutional training that’s happening in these companies and again, companies are you going to need to start shifting how they hire sales people, it’s not anymore your ability to follow a script word for word, but the ability to improvise, the ability to anticipate, the ability to be proactive, all those things in my opinion are way more important now and in the future. John: I’ve actually seen — there was a little bit of a trend about a year ago that people were sending their sales teams to do improv. John: And I think that’s — so there are people that are getting that I guess. I want to end on one last topic. First off, before we get to it, where can people find out more about dynamic communication and about your work? Jill: The Dynamic Communication book is the absolute best place to go to find out information about the book and of course it links to all my other stuff as well but dynamiccommunicationbook.com and you can find me anywhere on social @dynamicJill I would love if you’ve been listening, love to hear your favourite take-away or any questions that you have. John: So I want to end on public speaking. A lot of people are doing that more and more. I think it’s a tremendous way to generate leads in the right environment, certainly a great way to enhance your thought leadership or your perceived expertise. So how do you make your presenting, I don’t know if you have a model for this but how do you make your — what do you tell people as kind of a strategy for making your presentations more dynamic? Jill: When you think about making a presentation, again it’s the same thing I’ll go back to the same philosophy, it’s not about you and your ideas, it’s about what your audience needs and wants to hear. So I like to think of presentations in a couple of different ways but the first thing I would say to someone just starting out is, reverse engineer it. Think about what you want your audience to leave the room with or doing or what action you want them to take, and then go backwards and really start to understand what your audiences wants to hear the information or the knowledge they need to take that action step. And then figure out how you can best match what you know with what your audience knows and wants to hear. I mean there’s a lot of different frameworks for organizing it but I think the most important is, especially if you’re doing a presentation with a sales objective or an immediate action objective, which most of us are if we’re giving a presentation, especially if it’s for lead generation, is going in there and making sure it’s very clear in your presentation what the need is. Establishing the need in a very clear way and not in a way that’s jargony to your product but in a way that’s more universal that’s related to the human element. You know for example, if you were talking about trolling on the internet, so let’s say you wanted to get into that and how people view all of these people who post negative comments online as trolls and as evil people well, you know what let’s back up a little bit, let’s contextualize that so people can actually be in the minds of these people. So I could say John, have you ever been in a situation where you were stuck in traffic and you either laid on your horn or showed a certain finger, or yelled in some way that you know what? Is really not indicative of who you are as a person, it was just that situation. You give some kind of analogy that gets everyone understanding the bigger concept on a personal level and then once they do that you have them hooked into this idea in a way that they understand it. And then you can deliver satisfaction steps and more. John: Awesome. So we’re out of time for today but I’m visiting with Jill Schiefelbein, she’s the author of Dynamic Communication, 27 Strategies to Grow, Lead and Manage your Business. I really appreciate you taking the time to stop by today and next time I’m in New York hopefully we can bump into each other. Jill: Absolutely. Thank you John and thank you Duct Tape Marketing audience.